So it begins with Yuu entering high school having rejected a boy, and Nanami rejecting another boy with Yuu there to witness it. Through that, they meet each other for the first time, and their hearts are fluttering. Pretty artistic how it all went down with this shoujo-style romance as these two sure were meant for each other. Nanami sure has what it takes to be the student council president, and having Yuu by her side pretty much clinches it in the election. I think this was a neat first episode with a lot of potential. Hope they can keep me engaged with the character drama. 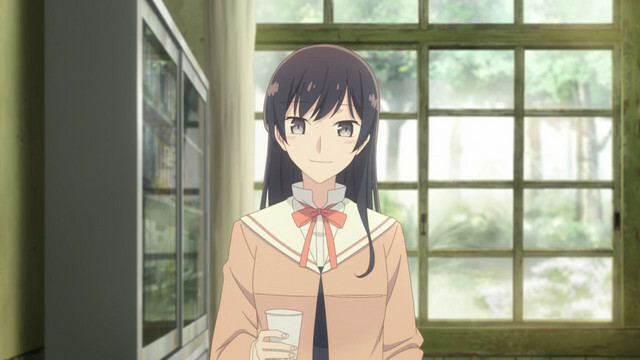 The first episode introduces us to Yuu who's in her first year of high school. Not sure what club to join she is recommend by a teacher to join the student council. On the way over there she so happens to overhear a love confession as once again Nanami is being confessed to. But just like the others she turned the guy down because she doesn't plan to date anyone. That is until she meets Yuu and that pretty much goes out the window lol. Yuu finds out that Nanami is really popular and has been confessed to by guys and girls. It is here that we find out that Yuu was confessed to by someone and hasn't given the guy a reply. The guy really likes Yuu that he waited a whole month just to get a reply from her. Well he finally gets it after Yuu talks it over with Nanami and gets the courage to turn the guy down. Relief that she turned the guy down Nanami confess that she has fallen for Yuu. When it comes to the first episode i like the way it handle both Yuu and Nanami's introduction. Even how Yuu interacts with her friends when she not in the student council. 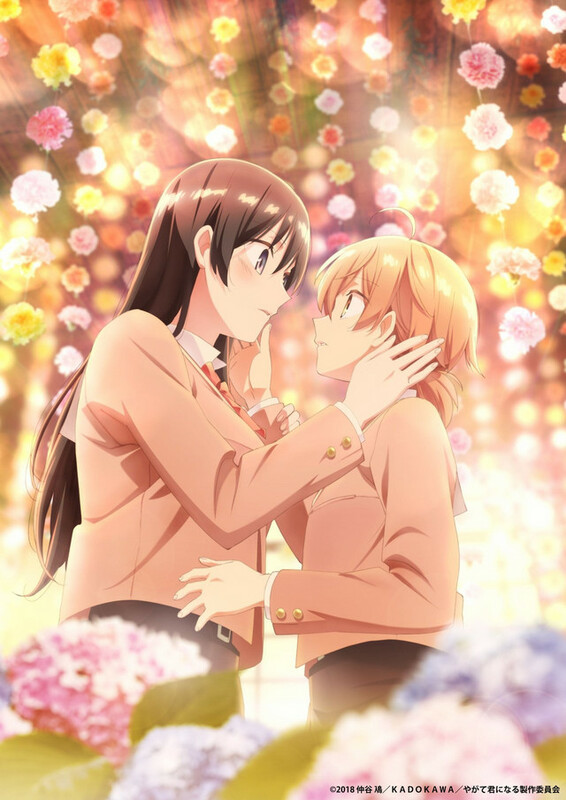 This being a yuri anime you would expect only girls to appear but glad that guys are going to be in the show as well. I like that its not jumping straight into the yuri and will develop the relationship between Yuu and Nanami before Yuu can realize her feelings for Nanami. so the series wont be on CR?? Sentai has this one. It's on HIDIVE. lol how is StriderShinryu not in here yet, was expecting his post for my if to watch list. I have some issues with the show. It's a minor thing at the moment that I want to see how they go with it before I cast any judgement on it. That said it's already better than Citrus. Was at work all day so I haven't been able to watch the episode yet. This is going to be a tough one for me because I started off loving the manga but recently ended up dropping it. A lot of people absolutely love the manga and think it's the greatest thing ever. Maybe the anime will do things differently from the manga. That would please me but would maybe upset it's huge fanbase. I won't spoil anything here but I will say that I'm actually not excited about this anime simply because the manga was/is one of the biggest manga reading let downs I've yet experienced. 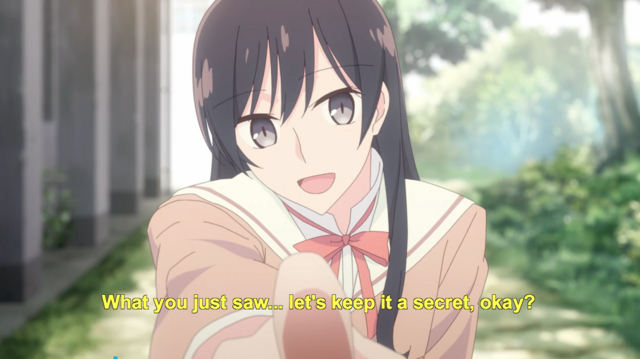 Ah, def not what i was hoping to hear lol, a bit wary of devoting my expectations to new Yuri..so I guess this might be a wait and see if you ad others buzzz about enjoying it, already feeling more distance with Yam above saying there was a pet peeve, Well when you do see it let me know if the first ep gives you hint of better promise. It's time, one of my favorite yuri manga being animated. Looking forward to seeing the rest. Will do. From what I've seen and heard so far, it looks great which is nice. It's always good to see yuri get actual production value. The real issues I have with the manga come a bit down the road though. Personally, I'm putting an extremely early best yuri of the season down on either Ms. Vampire or maybe Release the Spyce if it chooses to go in that direction. A ton of people love Bloom, though, so it might be worth a try. I know my negative opinion is somewhat rare on it. I’m actually curious how far you’ve read in the material. Have you read all the translated chapters up to the recent chapter 35 or are you beyond that? That was an enjoyable start. I like that there are guys involved but not in a relationship with the girls beyond friends and classmates so none of that nonsense and dramaz as in so many other yuri series. There's a nice, light feeling that will hopefully translate into a natural relationship forming. It does have the "girls don't date girls" trope which, in this day and age, needs to be laid to rest. Even if one of the girls isn't interested she'd have to have had an extraordinarily sheltered upbringing not to be aware girls do indeed date girls.